PhD Comics, one of the blogs I follow, isn’t just great humour; it also has a fantastic series of 2-minute PhD theses. The most recent is on defences against herbivores in Zea mays – against very hungry caterpillars, in fact. See below for the video version of the 2-minute thesis – a great example of communicating science simply and well, from Elvira De Lange and PhD Comics. Science 2.0, one of the blogs I follow, is running a story about the H7N9 influenza virus, which I’ve mentioned before. Worth a read. The electron micrograph of the virus below is from Cynthia S. Goldsmith and Thomas Rowe of the CDC. Assembling my Network, one of the blogs I follow, is running a series of posts about network analysis using the igraph package of R (see Part I of III and Part II of III). I’ve expressed myself elsewhere on how useful R is (the diagram below is just one example), and these posts do a very good job of explaining the network-related aspects of R.
Update 1: see also the sequels: More food web plotting with R and Part III of III. The latter post looks at the Otago Harbour intertidal mudflat food web which I have posted about before. 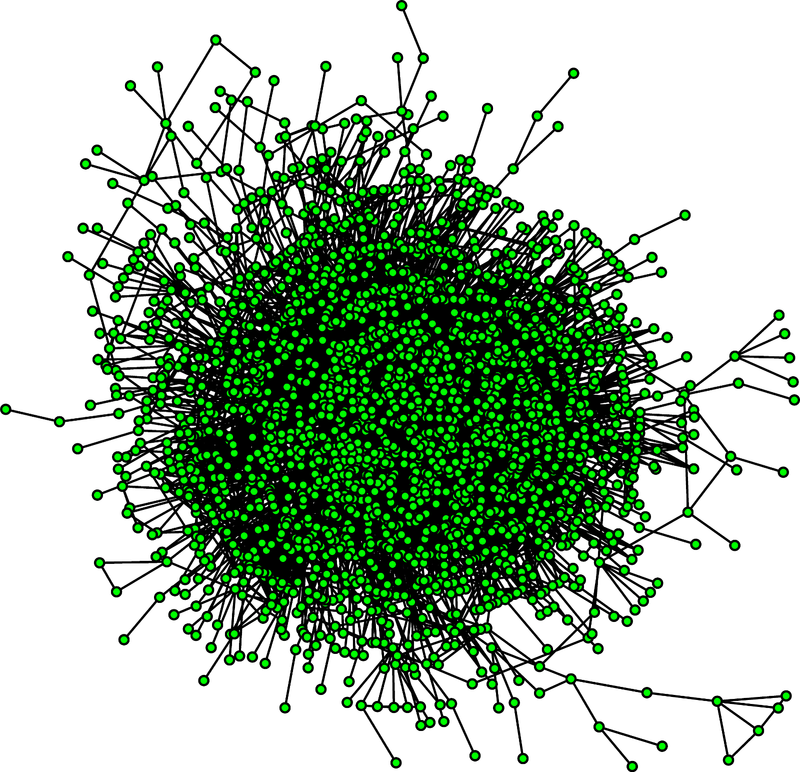 There will surely be more posts about R and food webs to look forward to on this blog. Update 2: this content is now also on a page at this blog, for more convenient access. Lab Life is a recently started blog by three biology undergraduates (Elizabeth, Nicole, and Shannon) in the North Carolina State University Research PackTrack. They plan on blogging about their research experiences – which makes their blog a great resource for young people thinking about a scientific career. In April the Gesellschaft Deutscher Tierfotografen announced their Nature Photographer of the Year. The Guardian is showing the best pictures, as is Discover Wildlife – take a look; they’re fantastic! 0xDE, one of the blogs I follow, has been posting a day-by-day series of posts on the Symposium on Computational Geometry at the Pontifical Catholic University of Rio de Janeiro, Brazil. Fascinating stuff! The photo below of the city is by Mario Roberto Durán Ortiz.